The Italian and traditional brand in the sneakers modality, increases its presence on the category. With a long and iconic history in the tennis field, Fila reinforces its presence in the modality by announcing its sponsorship to the biggest tennis tournament of South America: Rio Open 2017. Since the beginning of the year, the brand maintains a projection towards the sports market, participating in important tournaments around the world, with new athletes. The brand will be at one of the most contested matches on the global circuit. The ATP 500 stage of Rio de Janeiro will be held among the day 20th to 26th at the Brazilian Jockey Club. 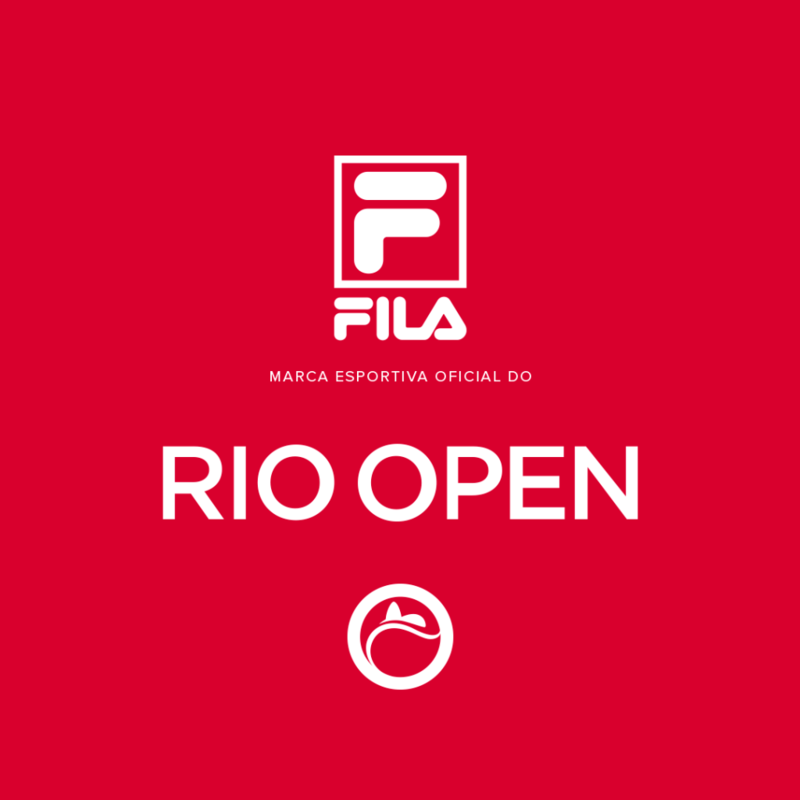 During Rio Open, the brand will be represented by the leading athletes from Fila Tennis Team, who will be on the tournament. A worthy celebration of the big tournaments will be held on the next 08 of December, in the state capital of Rio de Janeiro, when more details about the tournament will be announced, with the presence of FILA and other partners of the event. In that day, Fila will present a collection specially designed for the event, based on the Italian heritage and tradition, with unmistakable style and high performance that please both professional and amateurs. The Italian brand has invested heavily on the creation and development of new models of shoes. By the Dass Creation Center (Brazil), the biggest development center for shoes in Latin America, Fila has created the high performance shoes named Cage Delirium, which is being exported to many countries and new models are being studied for the next year. According to Felipe Rosa, marketing manager of Fila, the brand’s sponsorship to a tournament like Rio Open is an important and strategic step for the brand’s growth. “Fila has a long history and tradition on the modality and, becoming the official sports brand of the biggest tennis tournament in South America, that allows us an unique opportunity to increasingly evolve in the category by delivering high performance and quality products to tennis fans”, explains Rosa. Fila has announced big investments in 2016, returning the partnership with Fernando Meligeni – current ambassador of the tennis category in Brazil -, sponsorship to great athletes as the agreement with Karolina Pliskova (#6 WTA), John Isner (#19 ATP) and the current number #6 of the ATP rank, the Croatian Marin Cilic. In addition, it was present at the Masters 1000 in Indian Wells and in Toronto, WTA in Montreal, Brasil Open (ATP 250), Argentina Open (ATP 250), Brasil Open Series (challengers), Copa Fila Buenos Aires (challenger). It also sponsors the Canadian Tennis Federation. Rio Open is realized by ICT; promoted by IMM.